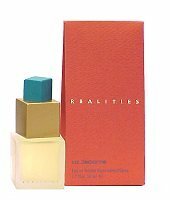 Liz Claiborne introduced Realities in 1990. This feminine scent possesses a blend of rose, white lily, sage, vanilla, amber, jasmine, carnation and a hint of peach. Realities is recommended for daily use.